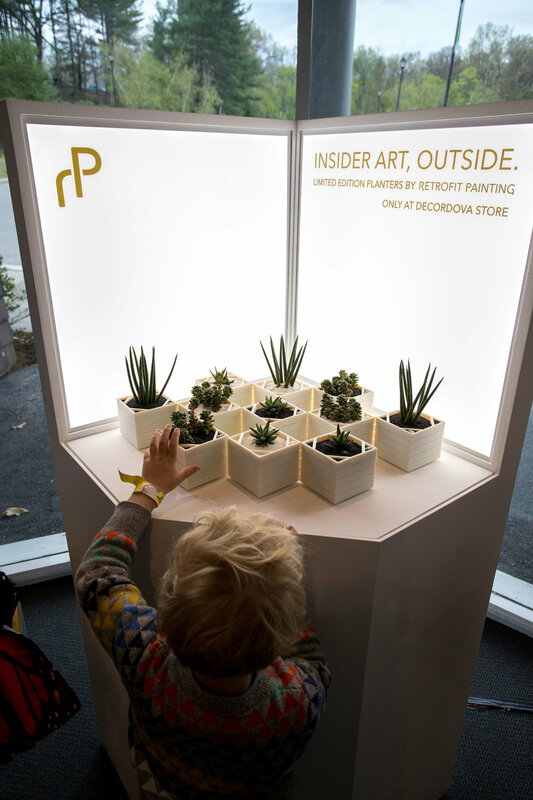 Museum store gift shop, brass, 3D printed plastics, succulents, photo light boxes, light pedestals, plexiglass, LEDs, step and repeat wall. deCordova Sculpture Park and Museum proudly features Retrofit Painting by New York artist Thomas Ray Willis – an extensive exploration of the canvas stretcher as art and design. 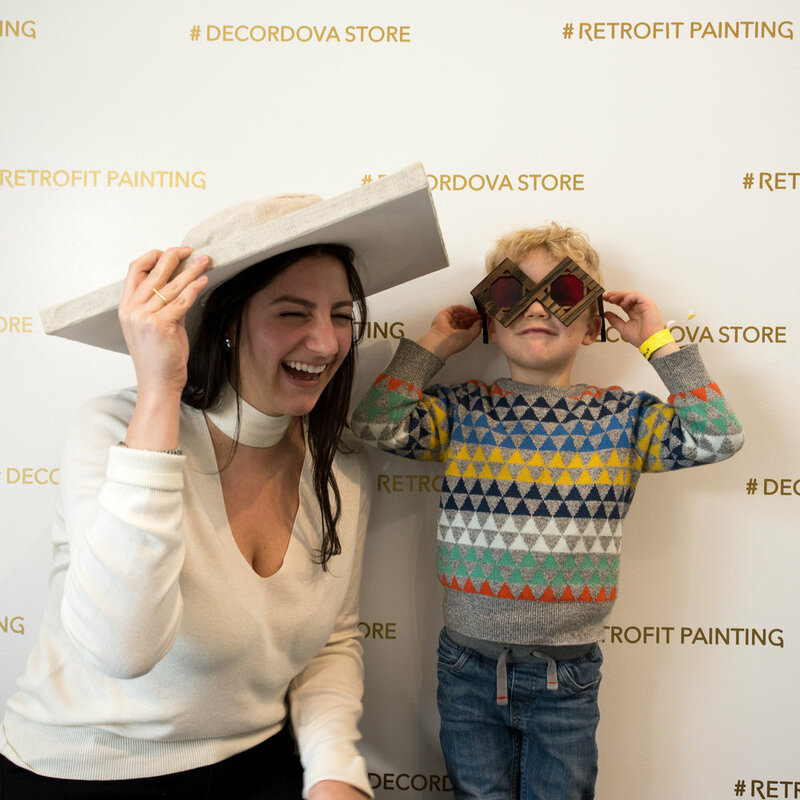 On view and available for purchase will be a selection of luxury products from the including rings, pendants, bags, sunglasses, hats and other custom crafted accessories, as well as a new line of sculpture park planters exclusive for the deCordova Museum.